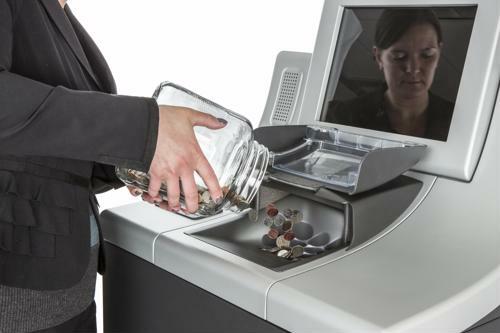 The benefits that banks can reap from self-service coin counting machines were recently on full display after a Texas man decided to deposit roughly 500 pounds of change. Local NBC affiliate KCBD indicated the Slaton, Texas native, Ira Keys, who is now 81 years old, took his father's advice to heart when he suggested saving money. "In total, the collection was worth $816." According to KCBD, Keys brought in a collection of about 81,600 pennies into Prosperity Bank, a community financial services institution, after collecting the coins for 65 years. Kari Lewis, a personal banker at Prosperity Bank, explained that this was the first time in her career at the branch that she had seen such a massive collection. Lewis went on to say that many people take pennies for granted, disregarding them for their low apparent value; obviously, a penny saved is a penny earned. In total, the collection was worth $816. Meanwhile, Keys doesn't plan to give up his coin spotting habit, but he recognizes his next deposit will likely not be as large. The story, while exceptional, demonstrates the value of self-service coin counters in financial institutions. What would have likely taken several hours in other branches - in terms of requiring a teller to sort and deposit the change - took slightly more than an hour for the coin counting machines at the bank. One of the lessons that other financial institutions can learn from Ira Keys's dedication to coin collecting is that customers will find added value in branches that offer self-service equipment that allows them to deposit their change. In other words, this type of offering will attract foot traffic, which creates several opportunities for banks. According to a Cummins Allison study, the market for coin redemption in banks and similar commercial enterprises is very strong. In fact, a minimum of one person in 80 percent of U.S. households saves change. Then, 64 percent of this collected money is deposited in financial institutions. The benefit for banks is two-fold: Customers are able to conveniently redeem their loose change, and the organization is able to earn revenue from each transaction. For customers and bank staff, money counters that can process 4,000 coins per minute with more than 99 percent accuracy create a more efficient business and provide better customer service.